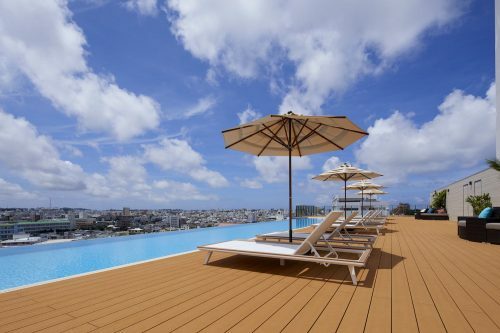 Novotel Okinawa Naha, a 328 room property will open at Naha City. 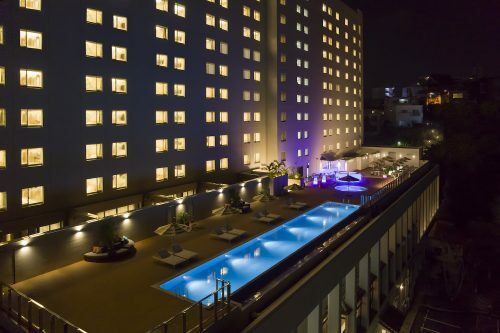 Located just 15 minute walk to the World Heritage Shuri Castle, the 15 storey hotel offers a 360-degree view of the former royal capital of the ancient Ryukyu Kingdom. 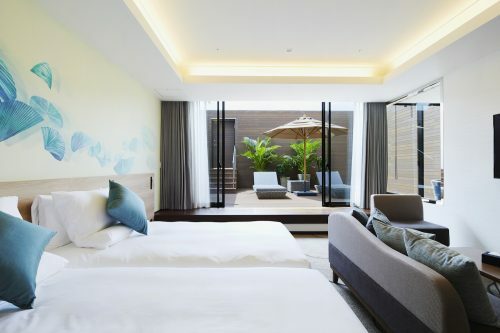 Featuring a contemporary design, framed with Okinawa’s indigenous plants and locally inspired art by some of the island’s most renowned artists, the guest rooms boast a sky and resort theme that offer panoramic views of Shuri Hills and lush greeneries The Terrace Suite Rooms feature a private balcony with direct pool access. Guests staying at the Terrace Suite Rooms and Premier Level Rooms are given exclusive access to the Premier Lounge that offer a 360 degree view of the city skyline. 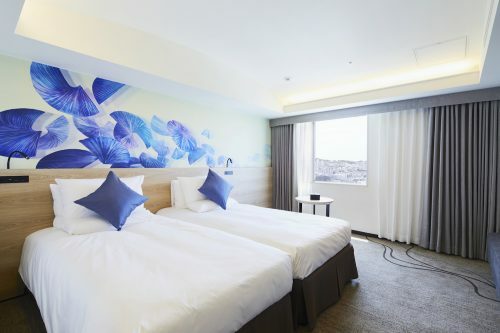 “We are delighted to introduce the our first Novotel brand in the Okinawa capital where guests will have the opportunity to discover spaces to relax, have fun, work, and enjoy dining and social experiences,” said Patrick Basset, Chief Operating Officer of AccorHotels, Upper Southeast and Northeast Asia and the Maldives. Toki Japanese restaurant will serve an array of authentic Japanese dishes and teppan-yaki while the all-day dining signature restaurant, Food Exchange Avancer serves a wide variety of local Okinawan dishes and international buffet and the GourmetBar features a range of pastries and a selection of gourmet coffees, cocktails and fine wines. For an evening chil-out, enjoy a selection of seasonable barbeque offerings over a drink at the BBQ Terrace adjacent to the pool, while watching a sunset over the evening skyline. 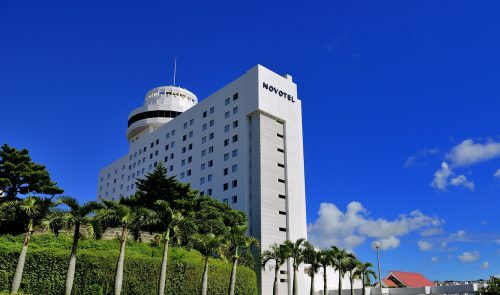 “It is great to have the first Novotel opening in Okinawa. Okinawa is a tropical paradise of beaches, palaces, temples, shrines and villages of the Ryukyu kingdom. 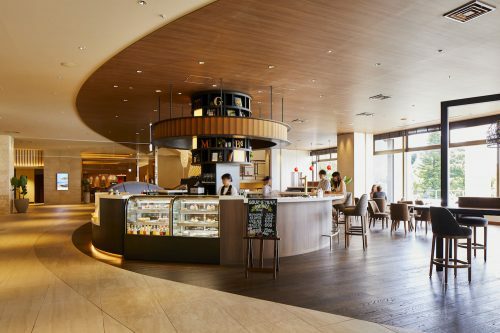 With the Novotel brand concept of ‘modern easy living’, we look forward providing a unique experience that infuses the Ryukyu Dynasty and traditions of Okinawa,” said Kimiharu Sakamoto, General Manager of Novotel Okinawa Naha. Leisure facilities include a 24-hour gym and a 25-meter outdoor infinity pool. The younger guest can enjoy a fun day out at the hotel’s kids club. Late night entertainment and shopping options nearby include the Kokusai Street, Sakae Machi, and Naha Interchange. 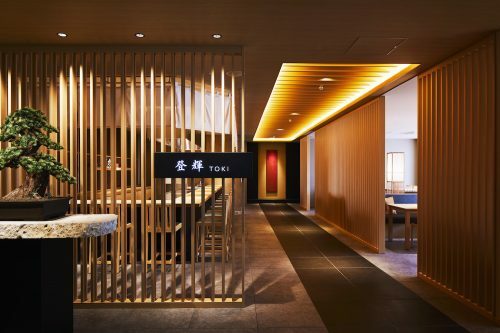 Enjoy a weekend getaway for two at JPY14,000 nett per night in a Standard Twin Room with breakfast for two and 15% off food and beverage at the dining outlet from now until 30 September 2018. Please call +81(0)98-887-1111 for reservations.